Report claims Netanyahu tweeted support of President Trump's border wall on the advice of his son, Yair. 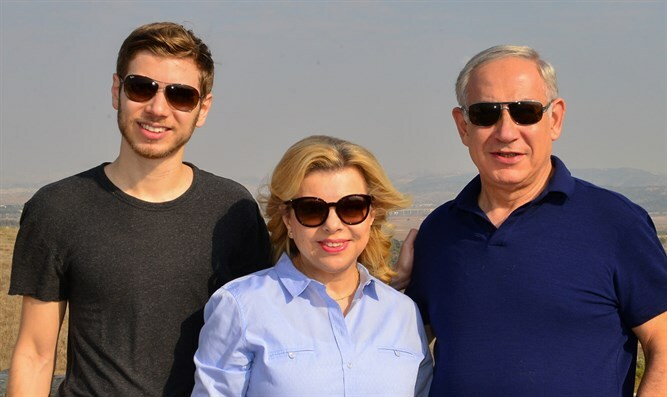 The son of Israeli Prime Minister Binyamin Netanyahu, Yair, reportedly pressured his father to post a tweet in support of President Donald Trump’s plan to build a wall on the border with Mexico. The tweet, made in January 2017, led the Mexican government to summon the Israeli ambassador to Mexico for a reprimand. The Mexican government also demanded an apology from Israel. Trump retweeted it less than a day later. According to a report by Yediot Ahronot on Sunday, Netanyahu posted the tweet at his son's urging and over the objections of some of his advisors. Nir Hefetz, a former Netanyahu communications director who turned state's witness recently, claimed that Yair Netanyahu also urged his father to install metal detectors at the entrance to the Temple Mount following a terror attack that left two Israeli officers dead. The metal detectors were installed, only to be removed less than a month later.